Are you an auto repair professional? Sign up to access additionnal features, such as CIECA file import. Subscribe to gain access to garage prices (valid until December 31st, 2020). PIECESVERTES.COM is a network of auto recyclers members of ARPAC. 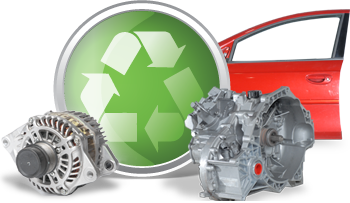 These accredited auto recycling centres offer quality 'green' parts, at a competitive price, while respecting a code of ethics and strict environmental standards. Check the availability and cost of a used part from our members... and note the difference! Delivery across Quebec Delivery across Quebec offered by all members. piecesvertes.com Warranty Lifetime warranty on auto body parts and one-year warranty on mechanical parts. Standards All our members adhere to strict environmental standards. The PIECESVERTES.COM website includes data from Hollander's interchange information, which is © 2012 Audatex North America, Inc.